Our team mate Christian passed away on April 29. 2010. We lost not only a member of our team but in fact a close friend. Without his enthusiasm and his encouraging work this project would not have been possible. 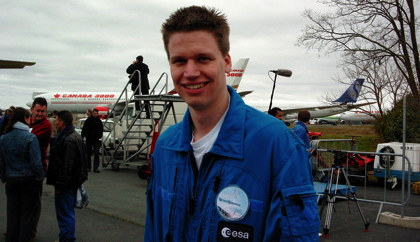 Christian was not only responsible of our experiment set-up, he also took care that your experiment performed well during many of the parabolic flights. This website is dedicated to him and will remind us of all the good things we experienced together.